Chiropractors have been facing this challenge for decades. Getting new customers is a constant preoccupation of virtually all small businesses. And make no mistake; your practice is a business. Call your enterprise a practice and your customers patients, but don’t let it obscure the fact that a constant stream of new customers is an important metric of a successful practice. Marketing your chiropractic practice was probably given little attention by the course work at your chiropractic college. Instead, it was assumed that finding a good practice location with plenty of drive-by traffic, good signage, adequate parking and getting on the lists of the major insurance carriers is all that it takes to launch and grow a new chiropractic practice. Not these days. Not since Google. Google changed everything—from the way we research and buy just about every product or service, to the way we entertain ourselves, get directions or the news. Old-school interruption marketing, in which you could place ads in the Penny Saver or blanket a neighborhood with coupons for free spinal exams are, thankfully, long gone. Today we’ll explore the first four of seven practical practice marketing ideas for getting new chiropractic patients in the digital era. Simply put, you must have a practice website. These days it is the hub for all of your practice marketing overtures. Love social media? Great. But if you’re serious about getting new patients, you must also have a website. But simply having a website is no longer enough. All of your competitors vying for the same new patients on the Internet have websites, too. 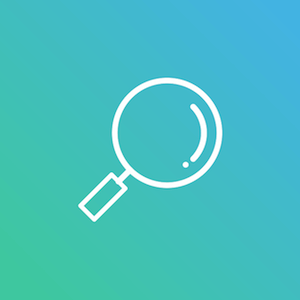 For your website to be found by someone searching for a chiropractor, your site must appear on the first page of search results. Optimally in one of the top three positions, which receive the lion’s share of traffic. Which means your website must be seen as reliable, authoritative and trusted by Google. In other words, is Google (or the other search engines) willing to risk their reputation on your reputation? How does Google determine how to rank your website? Increasingly it’s based on what visitors actually do upon arriving at your website. If they land on your home page and quickly hit the back button (a bounce), Google figures your website doesn’t answer the question the visitor is asking. Google responds by placing other chiropractic websites above you, pushing you down the page, or even off the page into No Man’s Land of page two. Or worse. This means two things. First, your practice website must be optimized for the search terms new patients use to find a chiropractor. And second, the design, navigation and user experience must invite visitors to stick around and explore your site. We learned this tactic the hard way. In the early days of our website business, we noticed that some of our clients cancelled their service and went with another website provider. Upon closer inspection, we noticed that many of these clients occupied the most coveted positions on page one of Google! That’s when we discovered the art and science of conversion. Think of it this way: high search engine rankings can get you traffic to your website, but you don’t want traffic. You want new patients. 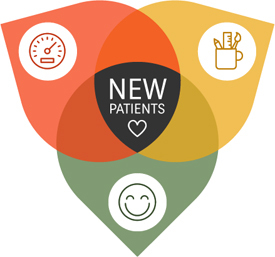 So how do you convert visitors into new patients? In other words, how do you get someone searching for a chiropractor to choose you? Custom photography – Stock photography is cheaper and faster. But converts poorly. Imagine going to Amazon to buy a gas grill and being greeted with photographs that show various types of grills, but not the specific type you were looking for. Same thing here. Browsable text – Is the text on your website easy to scan? Is it broken up with lists, bullet points or subheads? The key user experience is to make it easy for the website visitor to quickly find what they’re looking for. Being confronted by large blocks of gray type is a major turn off. There is far more to the chiropractic website conversion formula, but implementing these three suggestions is a good start to turning more visitors into new patients. When prospective new patients perform a local search for a chiropractor (as opposed to doing research on say, back pain), Google includes a map of providers in close proximity. Making sure your practice shows up in the maps section is essential since it is displayed above the organic search results. That your practice profile is complete. That your practice is close to the searcher. 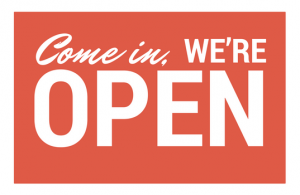 That your practice is open for business. This requires signing into your Google account and completing every question with the required information. Be sure to upload relevant photographs of you and your practice. Perhaps even more important is having as many positive, five-star reviews as possible. Getting positive reviews the proper way is covered here, as is what to do if you receive a negative review. The importance of positive reviews cannot be overplayed. It is one of the ways the Google search algorithm determines whether or not to risk its reputation on your reputation. Unlike traditional advertising that is unwanted and usually irrelevant, Google’s AdWords is contextual. In other words, if you’re searching “gas grills,” the ads at the top of the results page will be about gas grills. Genius. Study the history of AdWords and you’ll see the effects of constant testing and an increasingly aggressive strategy to monetize their search engine. The happy result for Google shareholders is billions of dollars in profit from charging clients a small sum each time someone clicks on the ads. If, for a variety of reasons, you are unable to increase the authority of your website to claim the top organic positions, you can buy your way to the top of the page one. But with a twist. 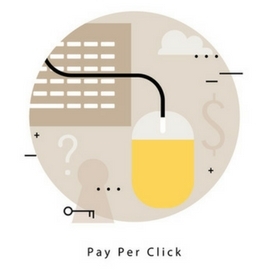 Because the cost of each click is determined by what other chiropractors are willing to pay for a click, with the prime locations going to the highest bidder, those practicing in a competitive area may want to embrace an alternative strategy that is less expensive and, potentially, more effective. Turns out that a click for the keywords “chiropractor [CITY NAME]” can be 10X or 20X as expensive as bidding for keywords such as “back pain [CITY NAME]” or “sciatica [CITY NAME]” and other common chiropractic admitting complaints. Learning from Google, Facebook has a somewhat similar offering. Instead of bidding on the search terms, the Facebook ads are targeted by demographics and other information that Facebook knows about its billions of monthly users. This allows you to place ads on the newsfeeds of Facebook users based on their gender, age, proximity to your practice and other criteria. Naturally, you’ll need someone who can optimize your pay-per-click campaigns for the maximum return on your investment. This is one of the many digital marketing arenas these days in which the do-it-yourselfer is up against a rather steep learning curve. Which is why Perfect Patients has an entire department devoted entirely to managing pay-per-click advertising for our clients. « New websites launched | Sheaffer Family Chiropractic and more!